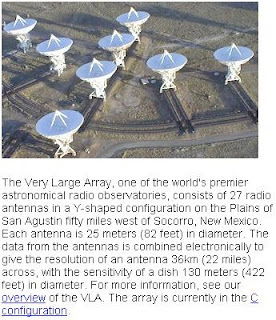 The National Radio Astronomy Observatory has, what they call, a Very Large Array. In this array there are 27 radio antennas. Read all about it here.